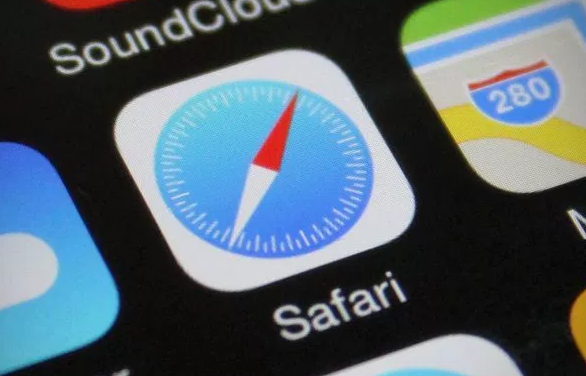 iOS users are facing safari bug problem after iOS 9.3 update. iOS 9.3 safari links not working after iPhone/iPad/iPod touch gets iOS 9.3. Other issues include booking.com bug, activation server not available,app freezing, iOS 9.3 safari crash problem, verification links problem.We can troubleshoot iOS 9.3 safari bug to resolve links not working/crashing safari issue. I will guide you to fix iOS safari issues after iOS update. After iPhone lovers updated from iOS 9/9.1/9.2.1 to 9.3, they faced safari issues like app freezing/hanging.This safari hanging probleme will arise when you click a link in iOS 9.3 apps.This iOS 9.3 safari freezing issue will also occur if you long press any web link.Sometimes, the iOS apps crash down after opening in iOS 9.3. Techslates will fix iOS 9.3 safari links not working problem. Apple said that “they know the iOS 9.3 safari issues and gonna release a fix to resolve safari links not working issue and iOS apps freezing/hanging problem”. Latest bug include booking.com which is responsible for these iOS 9.3 issues. Check out how to fix your iphone/iPad could not be activated because the activation server is temporarily unavailable. Follow the steps to fix “Activation server unavailable” issue after iOS 9.3 update. Cleanup Safari: cleanup refers to deleting history and safari cache to fix the safari crashing problem. You may think that how can cleaning safari browser will fix iOS 9.3 safari links not working problem. Some iOS users gave a confirmation that this trick do work on iOS 9.3 too. Check this fix to resolve iOS 9.3 safari issues. iOS users are complaining that besides safari browser app, some iOS apps are freezing/crashing after trying to run from homescreen. Do force reboot or in iOS parlance, hard reset your iPhone/iPad/iPod touch to fix iOS 9.3 safari app freezing / hanging and crashing bugs. Check out how to hard reset iPhone/iPad/iPod touch to fix bugs after iOS 9.3 update. Most of the problems after iOS 9.3 update from iOS 9.1/9.0.2/9.1 can be fixed by downgrading iOS 9.3. As of now, you can only downgrade from iOS 9.3 to iOS 9.2.1 (not 9/9.1) using this techslates guide. We hope that this would fix iOS 9.3 safari bug and other safari issues like crashing iOS apps or hanging/freezing problems. You can also upgrade to this new iOS 9.3 build to fix other problems like iOS 9.3 activation server not available, verification errors and other bugs after iOS 9.3 update. This is a funny method to circumvent the iOS 9.3 safari browser issues. I mean you need to download other browser apps like Google Chrome. This would be the alternative till Apple releases fixes to solve this iOS safari issues like crashing and freezing/hanging iOS problems. I would recommend to use Google Chrome till the iOS 9.3 safari links not working bug is fixed by apple. I hope that this guide would fix iOS 9.3 safari links not working issue.Also, the other problems like iOS app crashing bug, freezing/hanging iOS 9.3 problems. Stay updated to techslates to download iOS 9.3 latest build to fix problems, bugs after iOS 9.3 update.